Hey all! Popping in to announce the winner of May's STAMP WITH ME Flickr challenge. The challenge was to make ME say "Ooh, that's pretty!" and of course there were so many eye-catching, lovely entries! That sky and those sequins in the balloon are so pretty! Congrats Thordis, please email us at mamaelephant.winner@gmail.com with your mailing info and prize pick of one stamp set of your choice! We also really liked these entries, check them out! THIS card is so feminine and regal with the gold accents! Check out the pretty bokeh background on THIS stunning card! 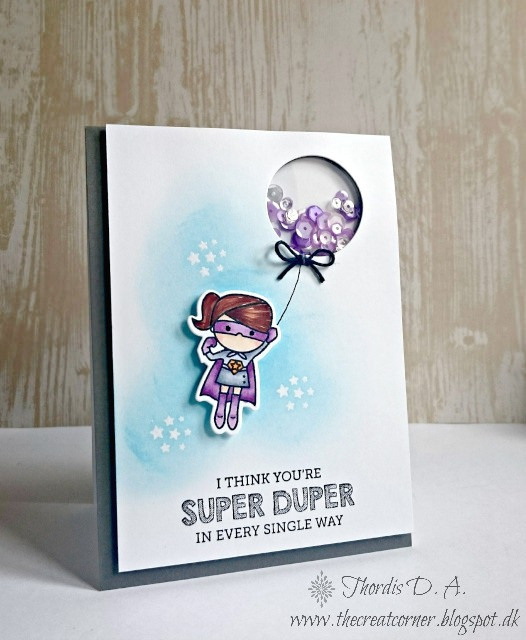 Isn't THIS card so sweet and happy with the pretty pops of color? The new challenge for the month of June is create something amazing with the clever use of WHITE SPACE. So think clean and simple! Thank you so much for the mention!!! Ready to get inky for the next challenge!! !